European champion, Peter McGrail, had to settle for a bronze medal at the 2017 AIBA World Boxing Championships in Hamburg after losing his bantamweight semi-final to Kairat Yeraliyev of Kazakhstan. Liverpool’s, McGrail, used his trademark fast-feet and movement to consistently elude the Kazhak, however the judges’ did not score the rounds in favour of the Englishman and awarded a unanimous victory to Yeraliyev. McGrail said: “I am disappointed not to win but to go home with a medal from my first world championships is a good performance. 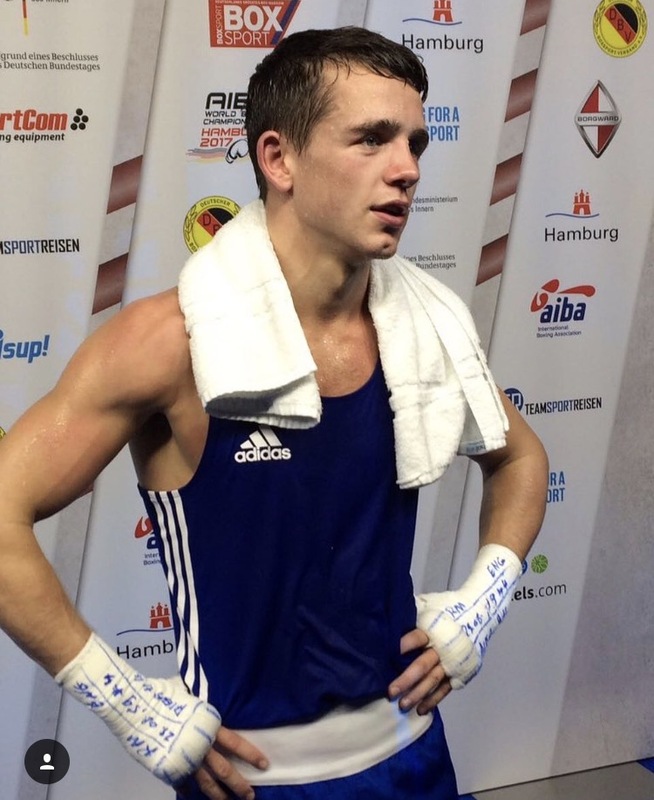 McGrail’s bronze was the only medal won by an inexperienced GB Boxing contingent in Hamburg where eight of the 10 man team were competing at their first ever world championships. GB Boxing’s Performance Director, Rob McCracken said: “This is still a very inexperienced group and we always knew the World Championships would be tough, so it has been a good learning experience for the boxers and they will all be the better for it. A highlights show of the 2017 World Boxing Championships featuring Peter McGrail and all of the boxers from the GB Boxing squad will be shown on BBC2 on Sunday 3rd September at 1.00pm. Result of all the boxers from the GB Boxing squad that competed in the 2017 World Boxing Championships are available at on GB Boxing website at http://www.gbboxing.org.uk/.